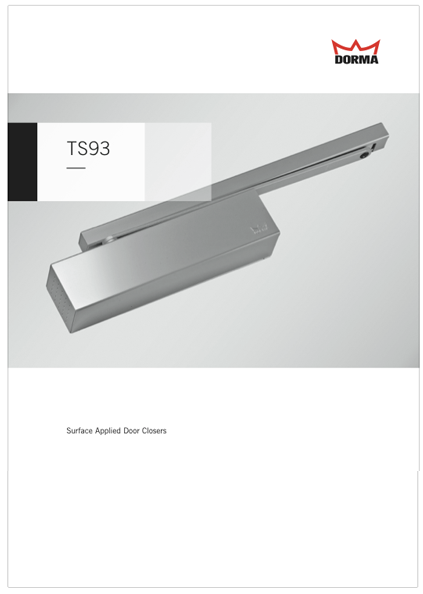 Push side installationWhen necessary, push side installation provides the benefits of track arm assemblies with the closer mounted to the door and the track mounted to the stop, creating a more tamper-resistant application. Adjustable Spring sizes for barrier free requirementsThe TS9315 will be available with field adjustable spring power from size 1 to 5 for barrier-free requirements. The TS9356 will be adjustable from size 5 to 6 with 50% adjustment. 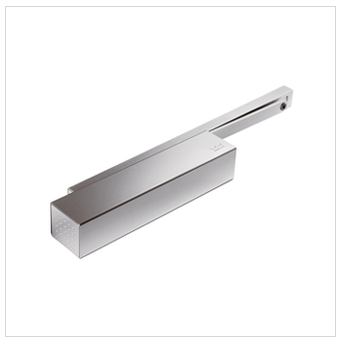 Hydraulic backcheckThe adjustable backcheck prevents uncontrolled opening of door.